Taiwanese police have arrested a 35 year old man for selling counterfeit amiibo cards in Taipei, Taiwan. According to a news report from Apple Daily, police seized 6850 fake amiibo cards from the home of the man after receiving a tip-off. 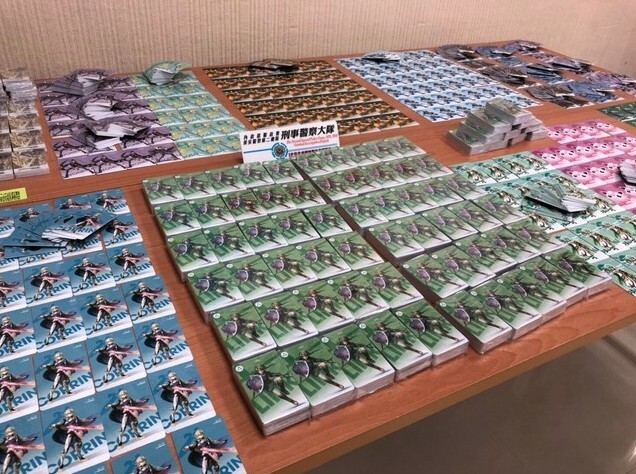 Taiwanese police said the man purchased 6850 fake amiibo cards in bulk from Chinese e-commerce website TaoBao, and resold the cards for 52 cents each. For comparison’s sake, a real amiibo figure costs between USD12.99 and USD15.99. Fake amiibo cards come with the same functionality as amiibo figures to unlock items or costumes in various Nintendo Switch and Nintendo 3DS games. Some people purchase these fake amiibo cards not knowing they are counterfeit products. Thankfully Taiwanese police have done the right thing as fake amiibo cards have been plaguing e-commerce websites all over the world. Hopefully this serves as a warning to those selling these fake cards.